Half of the managed honey bee hives in the United States are in California in February for almond pollination. California maintains a large beekeeping business, and it receives many truckloads of bee hives from across the country. This huge movement of hundreds of thousands of hives full of live honey bees is one of modern agriculture’s greatest accomplishments. California leads the world in the production of almonds, nuts prized for their taste and as a healthy food. However, almond trees require pollination by bees. 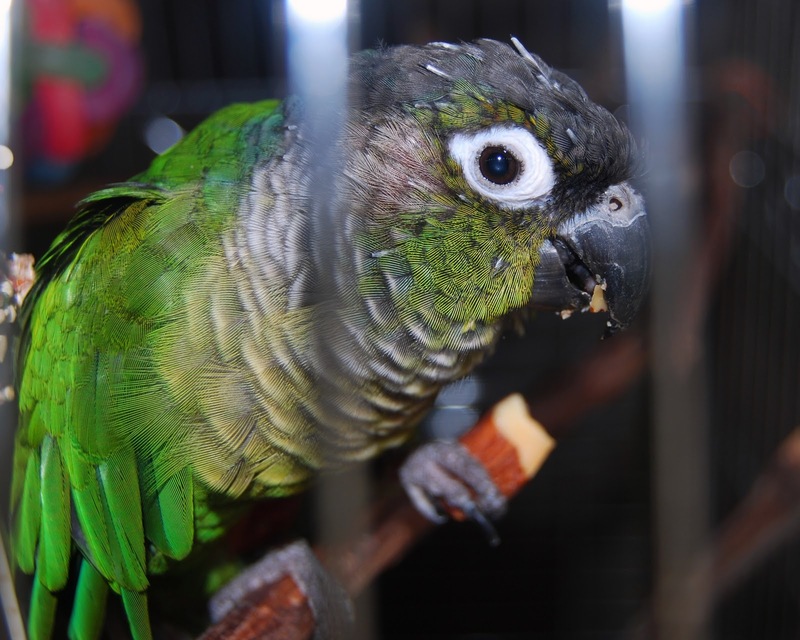 It is bluntly stated that an almond tree without honey bees is merely a shade tree. The pollination of almonds and numerous other crops is accomplished by migratory beekeepers who move their bee hives around the country by truck. Honey bees are ideally suited for migratory pollination service due to their behavior. Honey bees, living in large colonies, can be safely trucked in durable wooden Langstroth hives. The honey bee exhibits a foraging behavior known as “flower constancy” in which individual bees forage from the same plant species as long as the plant is secreting nectar or producing pollen. Charles Darwin described this behavior which makes the honey bee an efficient crop pollinator since only pollen from the same species of plant is transferred among flowers. Migratory beekeeping provides the pollination necessary for over ninety food crops, amounting to one third of our human diet. Moving hives is stressful on the bees, leaving colonies vulnerable to both new and existing honey bee diseases. Some migratory beekeepers experienced great numbers of colony losses. They were the first to detect Colony Collapse Disorder. Some of these beekeepers are also on the forefront of efforts to manage healthy honey bee colonies by culling old honeycombs, limiting chemical uses, and seeking genetically resistant honey bee stock. While moving bee hives around the country spreads pests and pathogens, the movement distributes honey bee genes, a benefit to beekeeping. 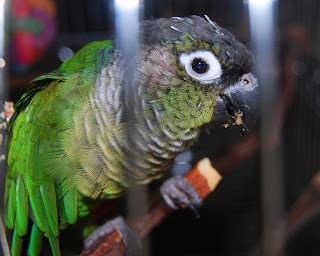 In today’s picture, Squeaker, our 25-year-old parrot, enjoys her favorite treat, an almond.